This is unbelievably beautiful. Sorry, handsome. 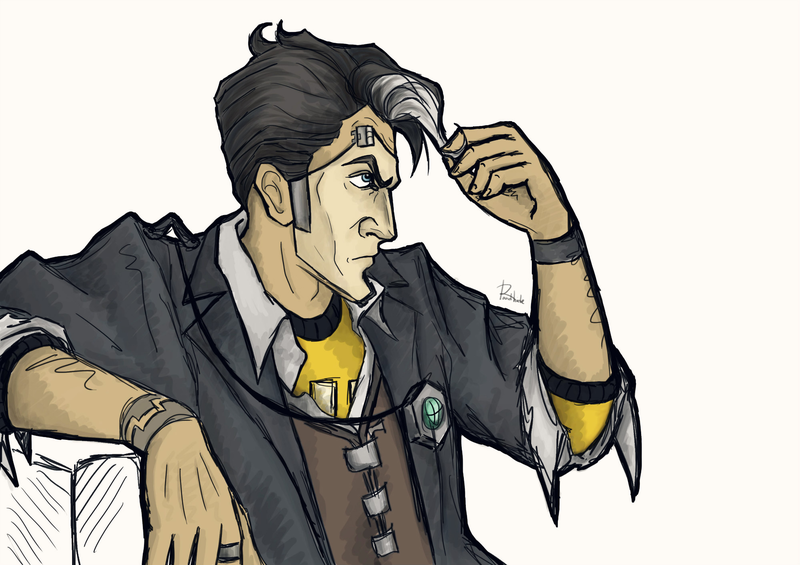 Can I use it for my avatar on telltale games forum? With the link to this page in my profile. I like that too! My guess is it was caused by the trauma of what happened in the vault which is probably his main reason for being annoyed by it because it serves as a reminder of what happened. After you beat the main campaign in the pre-sequel you will still see Jack around and he'll have his mask and the streak in his hair. That's my guess as well. Considering the trauma he's probably lucky that it's just a streak.